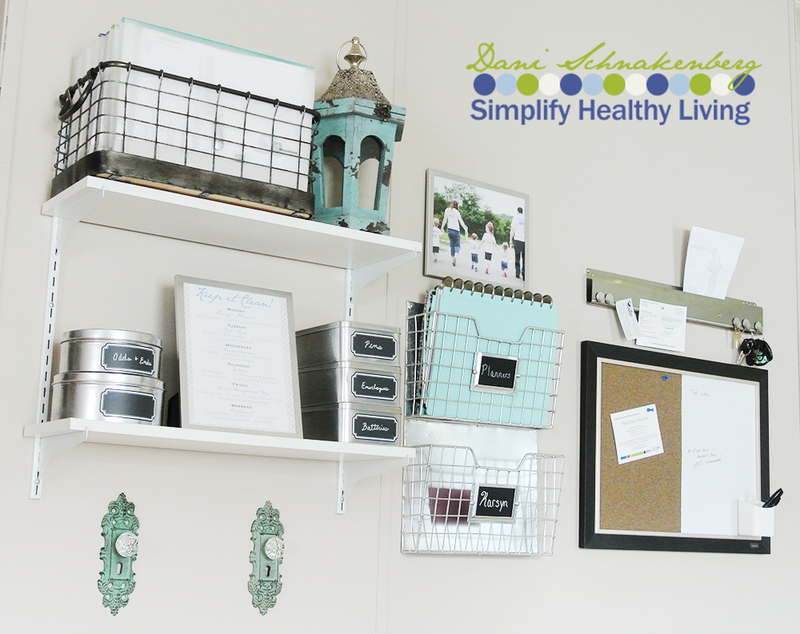 Over the summer I went on a huge organizing and decluttering rampage that was focused on my daily annoyances. You know, those little things that irritate you day in and day out, but aren’t quite bothersome enough to fix right that moment? I purged and organized the kids’ closets to make laundry a cinch to put away; I organized the shelf in the laundry room so that getting a roll of paper towels down wasn’t likely to cause an avalanche. One of the not so simple annoyances was the paper blizzard that was accumulating everywhere in our home. I kid you not, we’ve gone paperless in pretty much ever possible aspect, but it seems that they were still just piling up everywhere! On the breakfast bar, on the shelf where we hang coats, on the end table, the coffee table, and of course, all over my office. Finding anything was a pain. And of course this was very ironic considering my absolute obsession with all things office…including file folders. Oh, and let’s stop for a minute and talk about my husband’s daily amusement: “Honey, where are your keys?” Or my sunglasses, or… yeah, you get it. I’m a generally organized person as long as I have a system for things, and this was something that I just hadn’t figured out since we moved here…AUGUST 2013. I kept staring at this big EMPTY expanse of wall and thinking that surely there was something I could put there. It’s an awkward wall that’s useless for living room or playroom furniture, but surely it could serve some purpose. So I started hunting around for some organizing pieces. The bulletin board was actually on the other side where we hang coats, but that was an awkward spot that no one really every checked for anything. And the notebook holder was a gift from my mother-in-law for Karsyn to have a place to put her homework folder, but hadn’t been hung up yet. The white shelves have served numerous purposes in every home we’ve lived in for about three years, but hadn’t found one here. As I gathered all the pieces, I thought about what kind of system they would create. I needed a landing spot for myself and Karsyn. Hubby and the other kids have a nice nook across the living room, but K and I have significantly more stuff than any of them. And I wanted to move all the things we need for home management OUT of my office. My office is for work and I like having dedicated spaces like that. 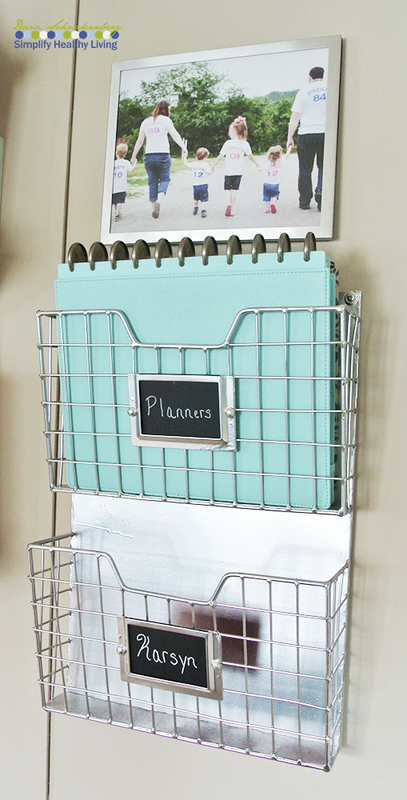 I ended up purchasing the basket (Hobby Lobby) and accordion files up top (watch for a post later about conquering paper clutter! ), the tins on the second shelf (Dollar Tree), and the metal pocket strip (The Container Store) on the right. Oh, yes, and those pretty turquoise doorknob hooks (Hobby Lobby) were Karsyn’s pick to add her touch to the area. And now we have a perfect little landing spot. The tins got a coat of chrome spray paint and chalkboard labels and handle all the little things I need when I’m paying bills…checkbooks, envelopes and stamps, pens, oh and our rechargeable battery collection. A few of them are empty in case I think of other things that would be handy there. 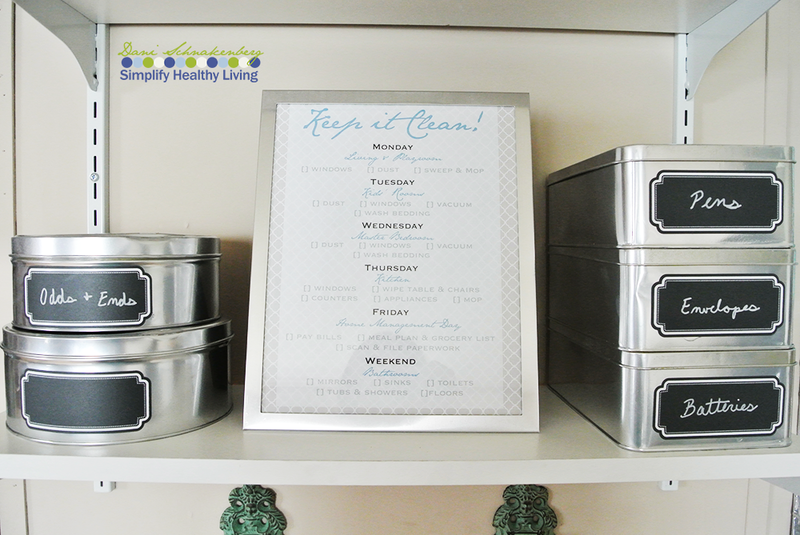 The frame has a cute little cleaning checklist and we just use a dry erase or chalk marker to check things off each week and wipe it clean and start over when we’re done. The file holder holds meal planning and finance planners and the bottom is perfect for K’s school work (actually, we’ve since switched to homeschooling and it holds her assignment notebook and her brother’s). The pocket strip is magnetic and has hooks for keys, and the bulletin board is great for leaving notes for each other or the sitter and pinning mail that needs to go out, tickets for events, or reminders and invitations from the mail. And K and I each have a hook for purses, backpacks and tote bags. No more hunting for everything because we have a system! And it’s so easy to pay bills or do the meal plan with everything right there together. It’s been about 3.5 months since we hung it up and we’ve made a few adjustments. For awhile we had a small console table under the board that had a mail sorter and basket for junk mail or things to shred. Now that we are homeschooling, we’ve replaced that with a small desk that the kids’ use for school work so they have a dedicated space and aren’t fighting with their siblings over space at our kitchen table that’s always in use for some sort of craft or another. 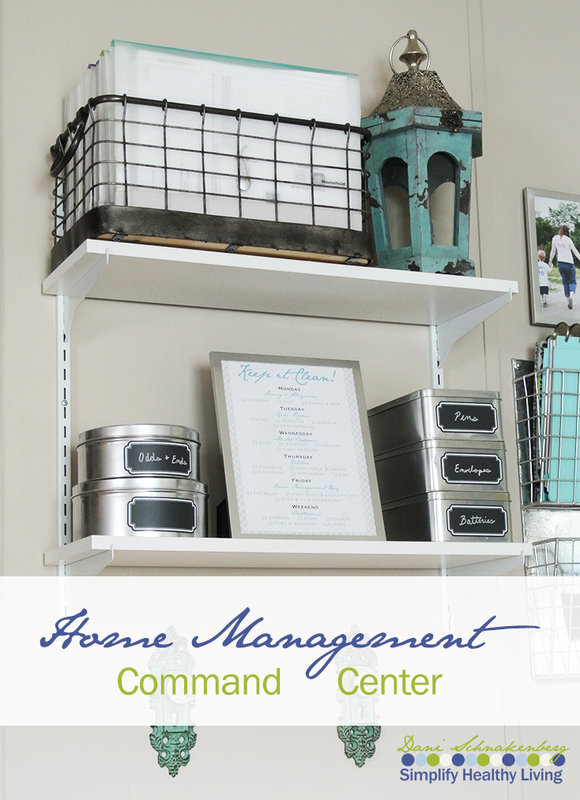 Do you have a Command Center in your home? Tell me about it! I’d love to hear how you implemented a system that works for your family! Will you come to my house and make me one?! This is so cute. I would if I could! I also wish the rest of my house was half so organized as this wall!